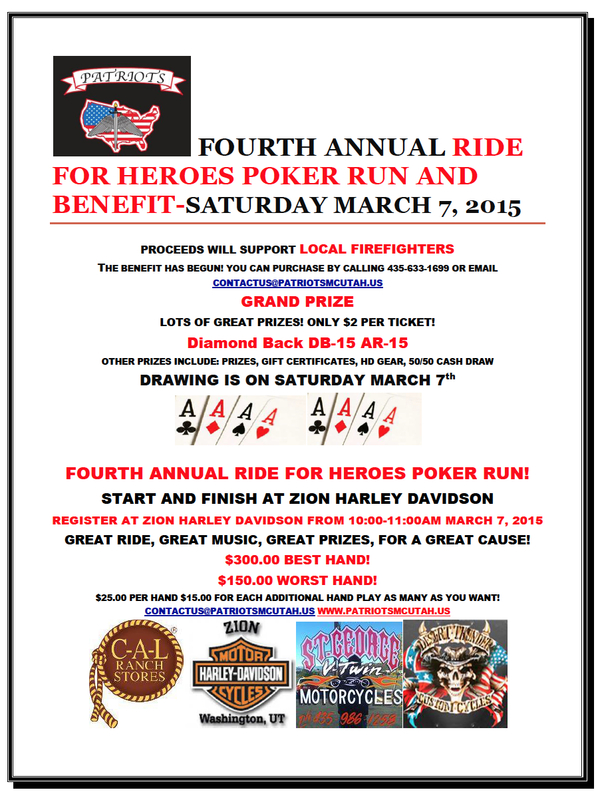 WASHINGTON CITY — The fourth annual “Ride for Heroes Poker Run and Benefit” will begin and end at Zion Harley Davidson, 2345 N. Coral Canyon Blvd. in Washington, Saturday, offering participants a fun ride, great music and prizes, all for the benefit of Southern Utah firefighters and first responders. Tickets are $2 and can be purchased by email or by calling 435-633-1699. There will be prizes, including a grand prize and a diamond back DB15 AR15 rifle.